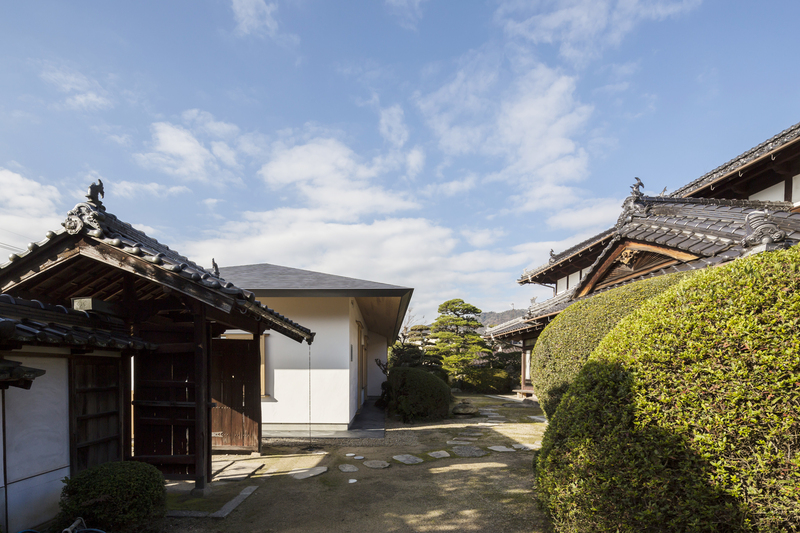 Kumano-cho is the traditional brush production region in Hiroshima, Japan. 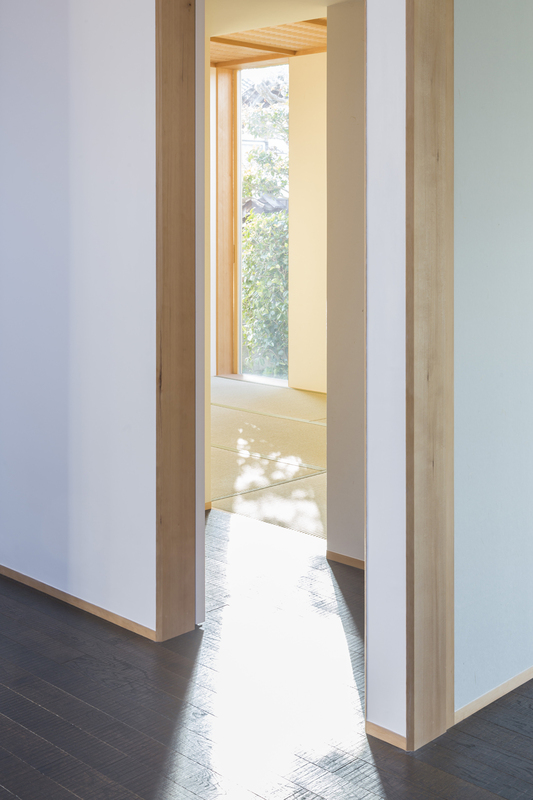 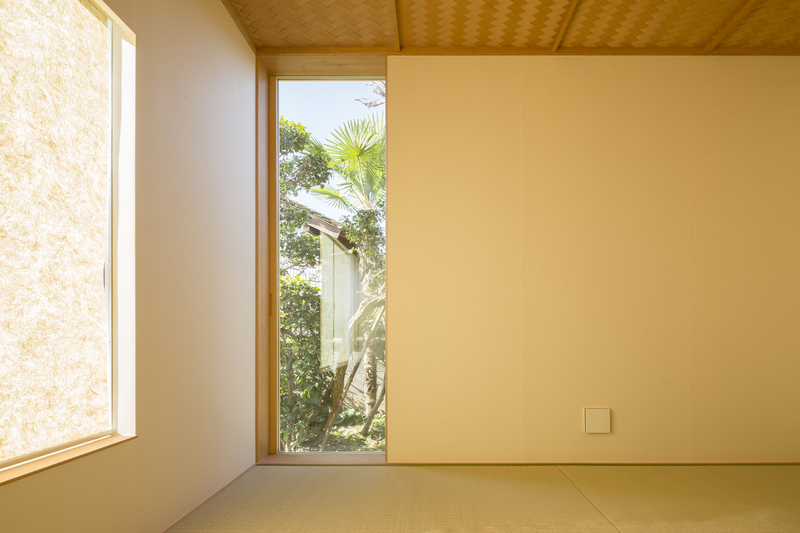 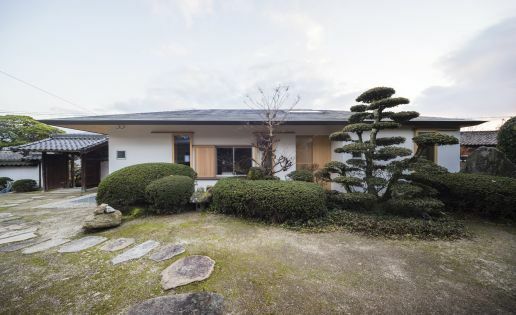 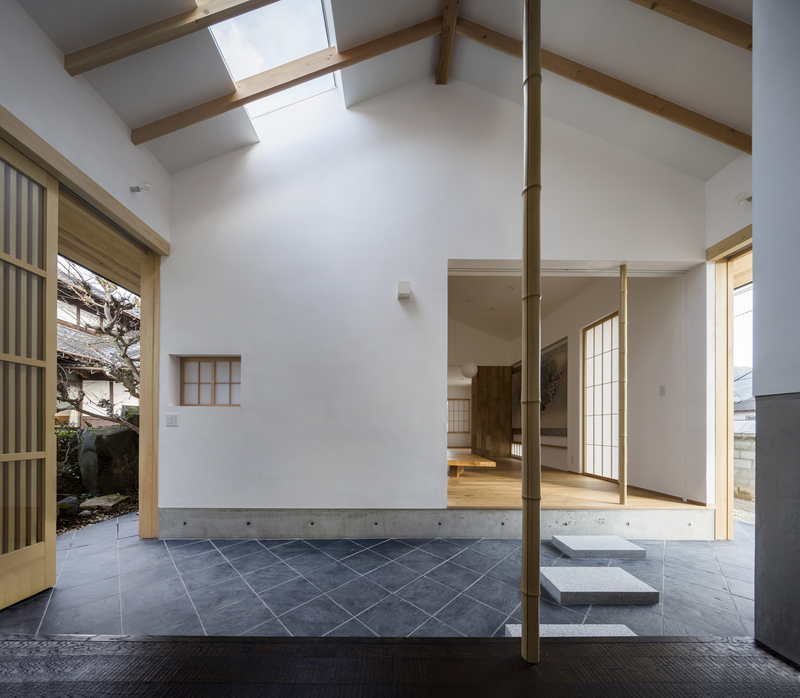 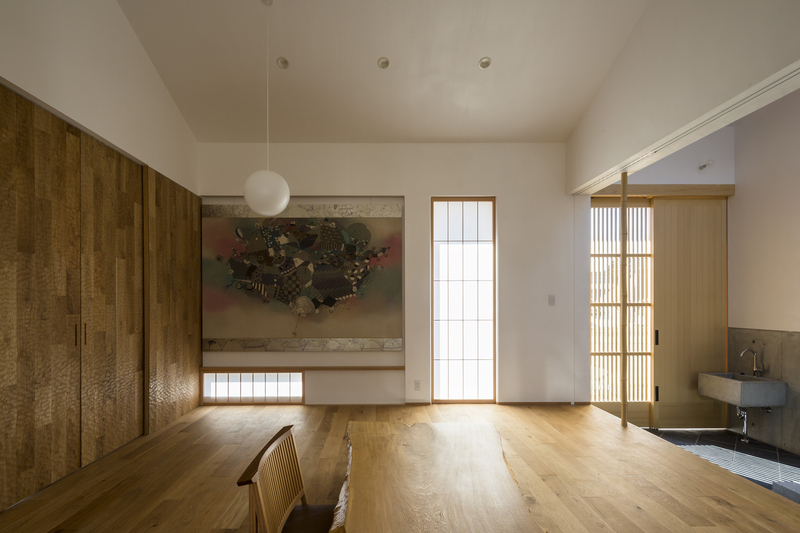 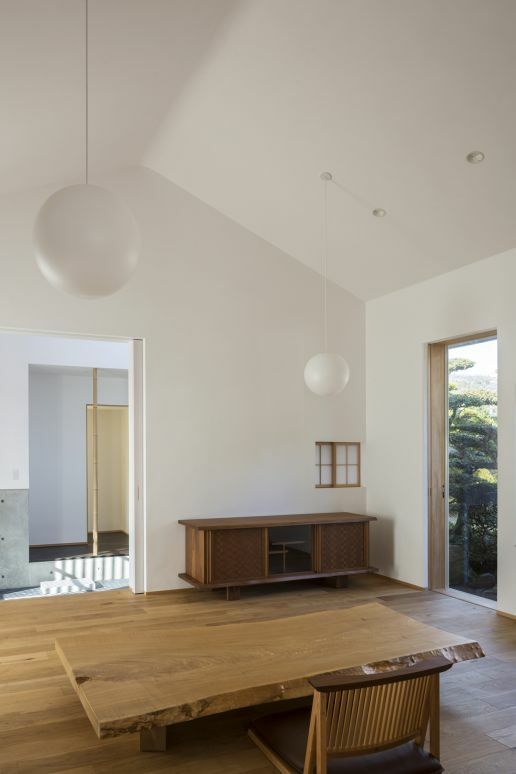 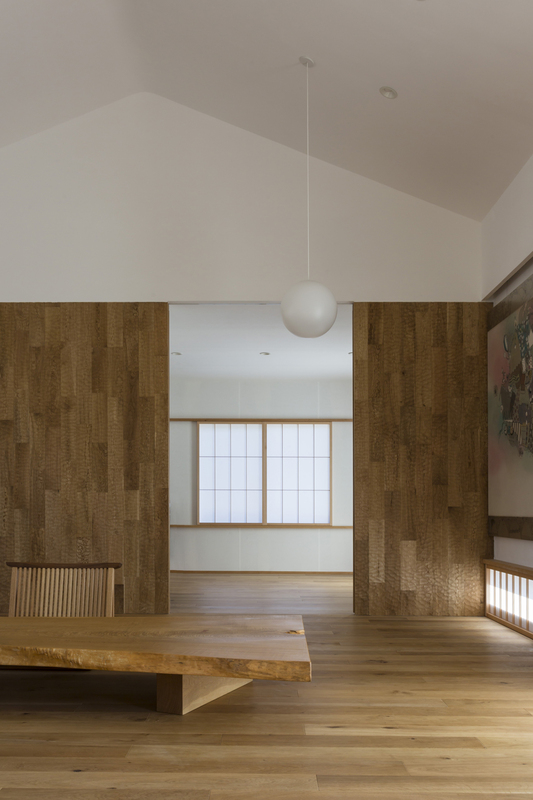 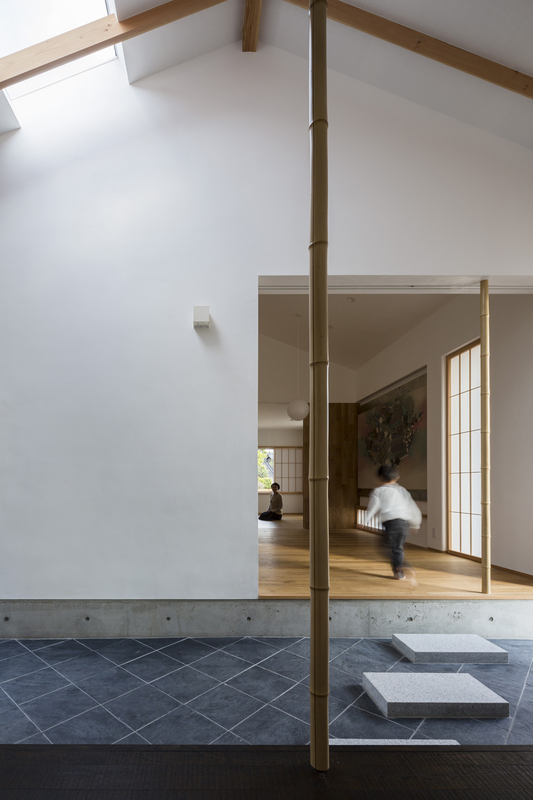 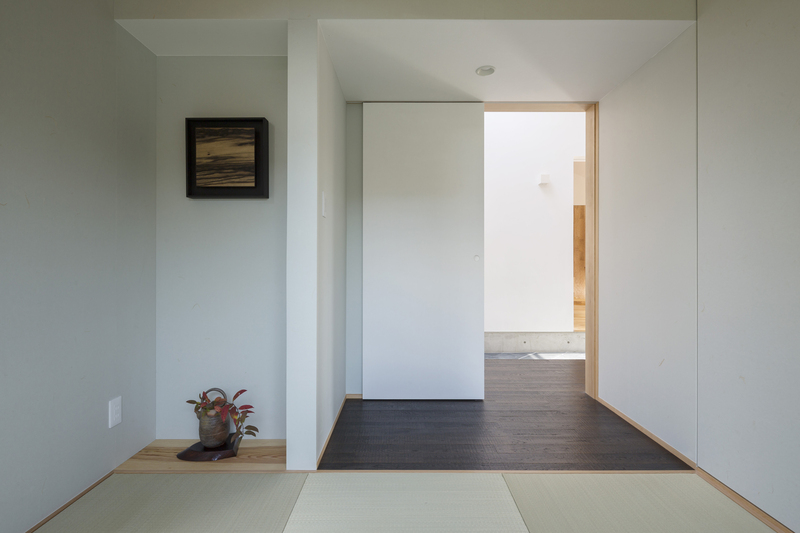 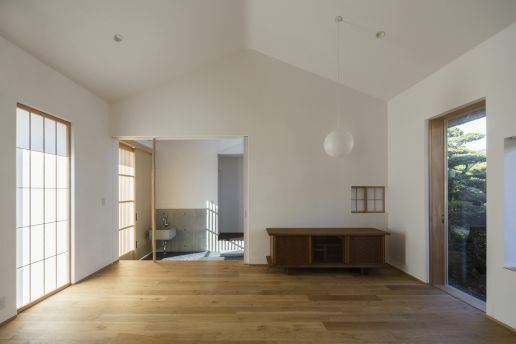 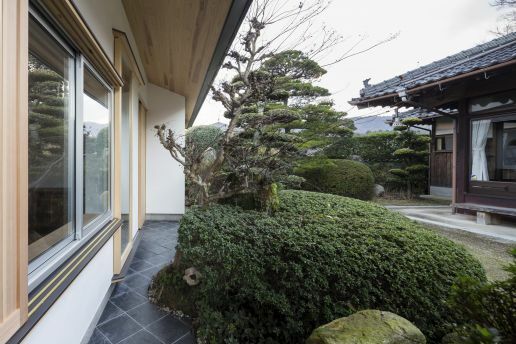 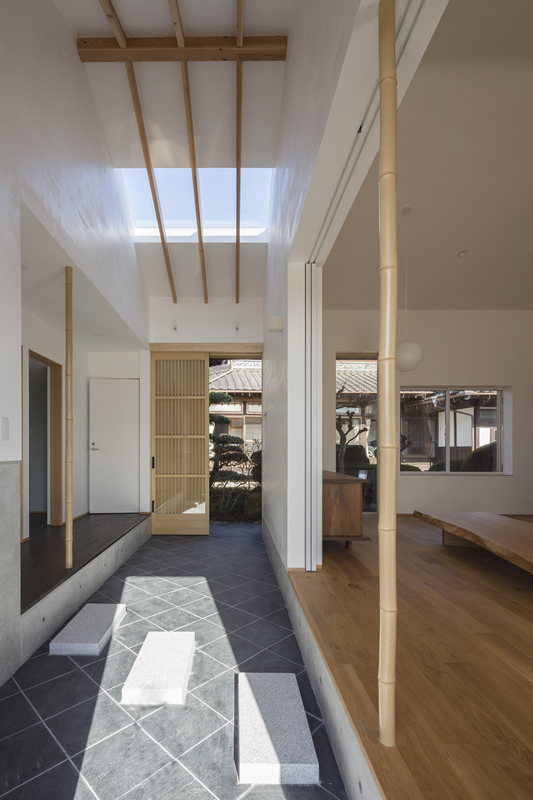 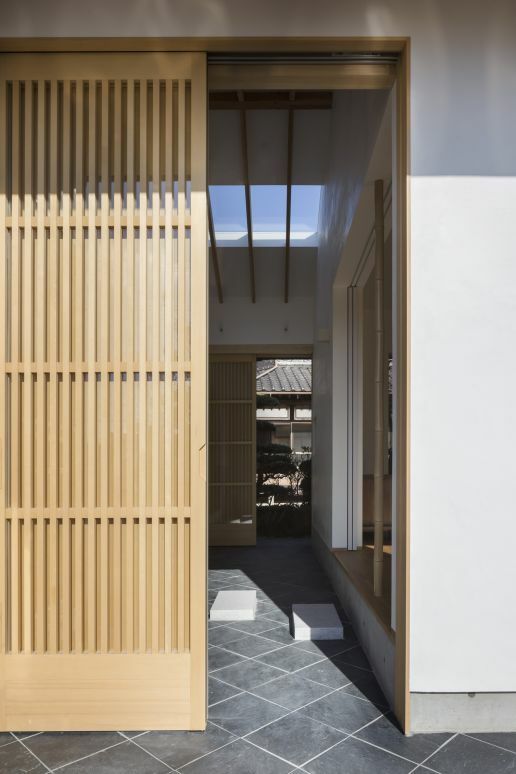 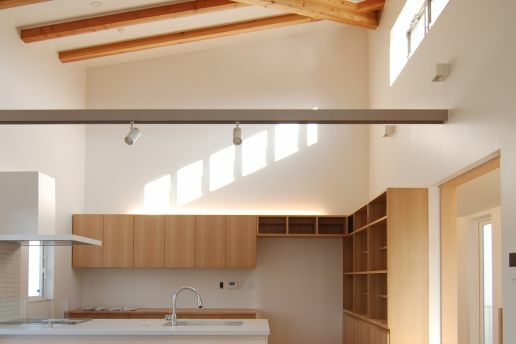 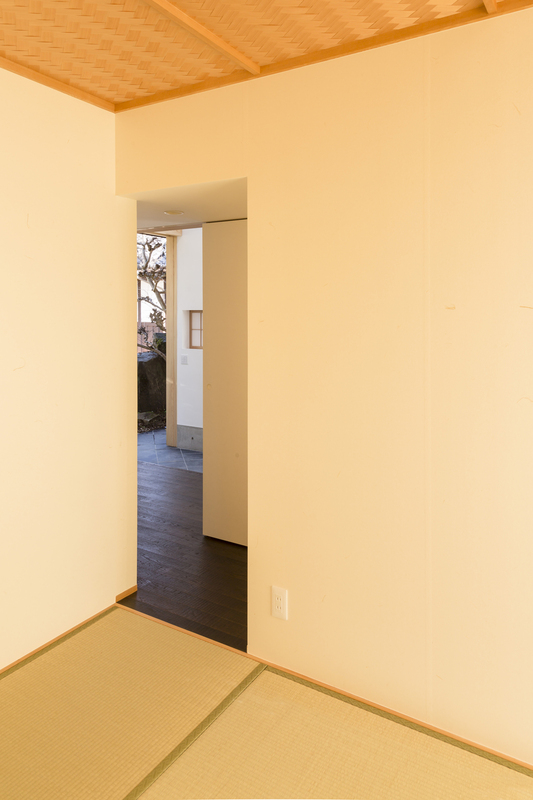 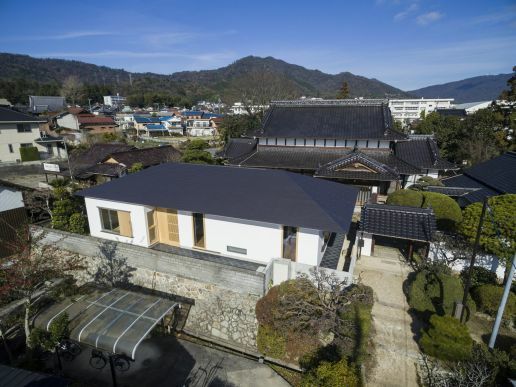 “Weekend house in Kumano-cho” is the privacy-conscious weekend house for the old family. 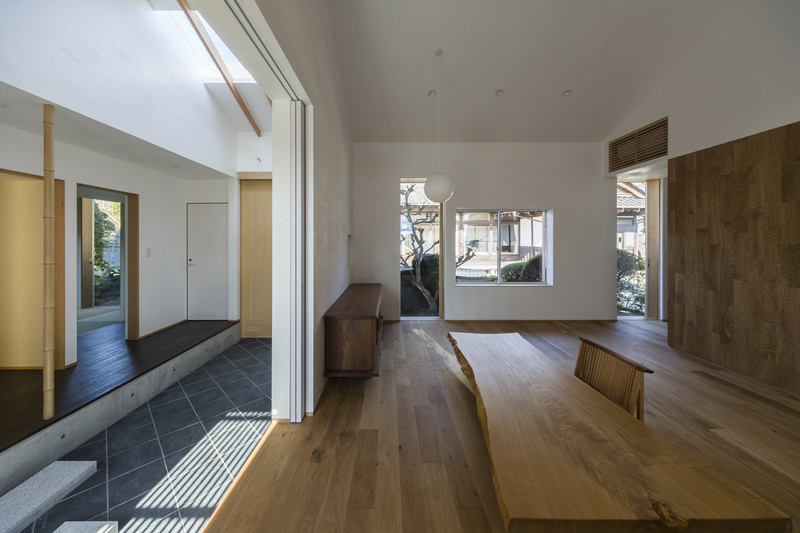 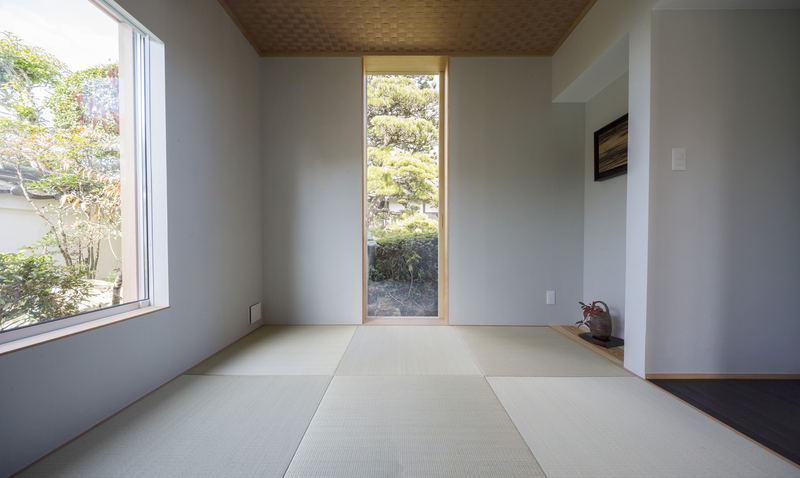 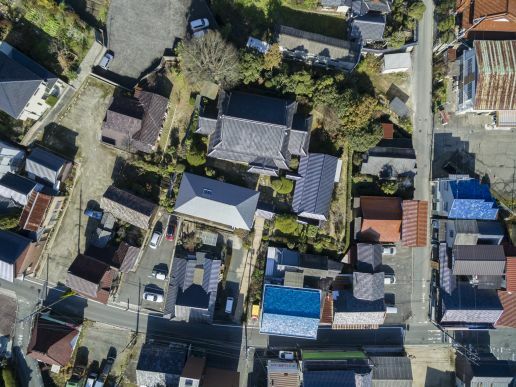 Therefore, it does not have large southern windows near the neighbouring house, while Japanese houses are usually open to the south side. Instead of southern windows, “Ring of stone floor” and “Diagonal pass” make the interior space and the exterior gar- den come together to active the open atmosphere. 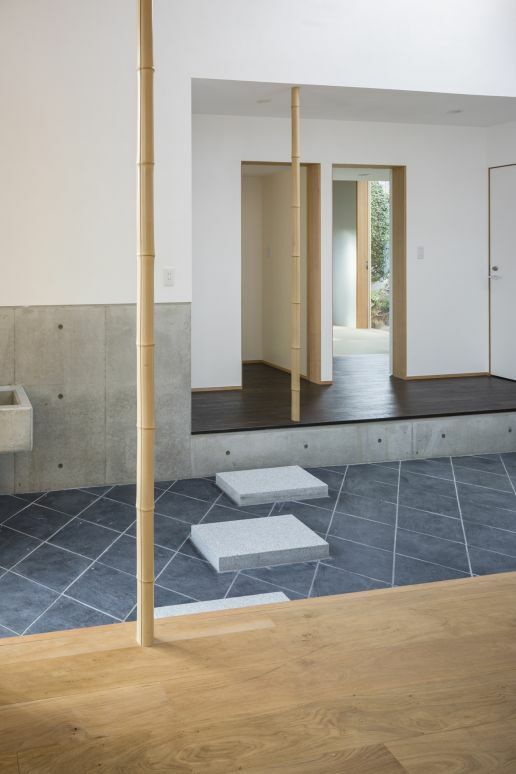 Four “Diagonal pass” which are lined on the corners of rooms come through “Ring of stone floor” made of traditional materials for brushes and calligraphy. 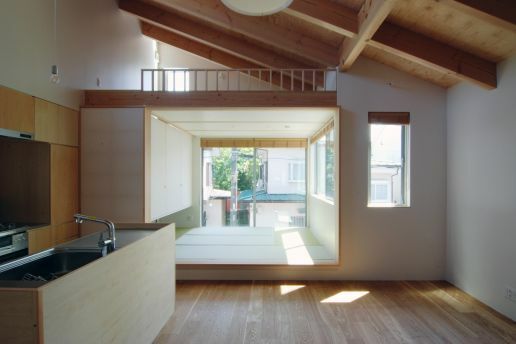 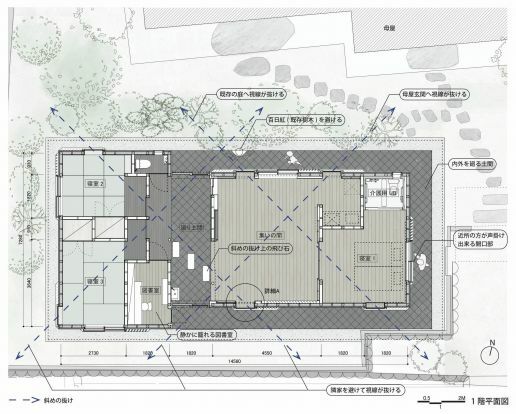 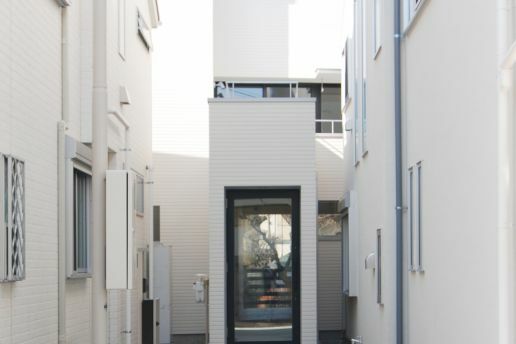 These human scale design approaches are developed from the idea of Japanese traditional houses.